Collective violence (including terrorism, gang warfare, war and genocide) is a critical concern worldwide. This paper explores the scientific roots of acts of collective violence to the extent they can currently by identified, and elaborates strategies that may have power for preventing and effectively responding to such acts, focusing particularly but not exclusively on so-called terrorist acts. The approach applied here is rooted in the contemporary science of behavior analysis and its emerging subdiscipline, the scientific analysis of cultural practices. Contemporary behavior analytic science indicates that critical links in the interlocking behavioral and cultural chains that shape and maintain violent acts and reactions to them are often overlooked or misunderstood. As a result, decision-makers are led to believe that they have available only an artificially small set of apparent options. The analysis suggests that those strategies that appear most likely to be effective are often unrecognized and underemphasized, and that certain of the most commonly relied upon strategies are likely to produce weak effects, prove counterproductive, or be accompanied by very costly side-effects. 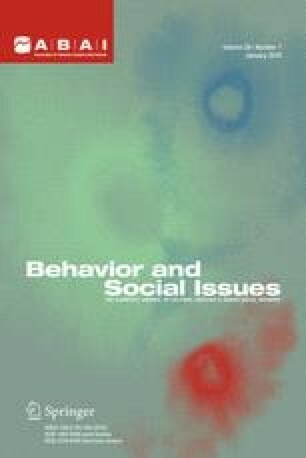 Following these analyses, the paper sketches a program of research for deepening current knowledge and identifying, testing, and refining interventive strategies that in the aggregate might produce meaningful (and possibly dramatic) decreases in collective violence over the next several decades, reversing current international trends.